The participants left for Moniwa district in Iizaka-machi from Fukushima station. 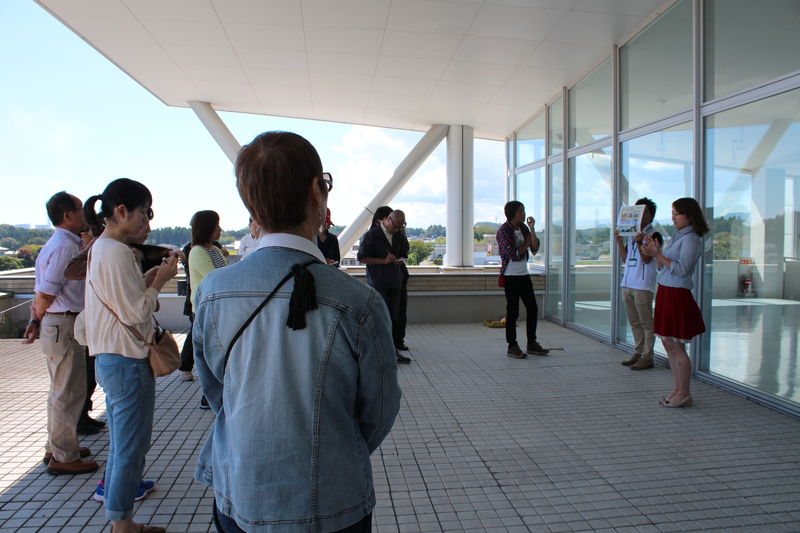 Mr. Sato, the director of NPO Iizaka Supporters Club guided the participants to Moniwa district. 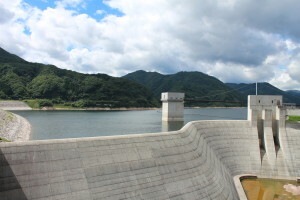 They visited Surikamigawa dam and listened to the explanation on the dam and the emergency measures on the earthquake at the information centre. They tried to enjoy handmade play equipment at Moniwa Playpark. 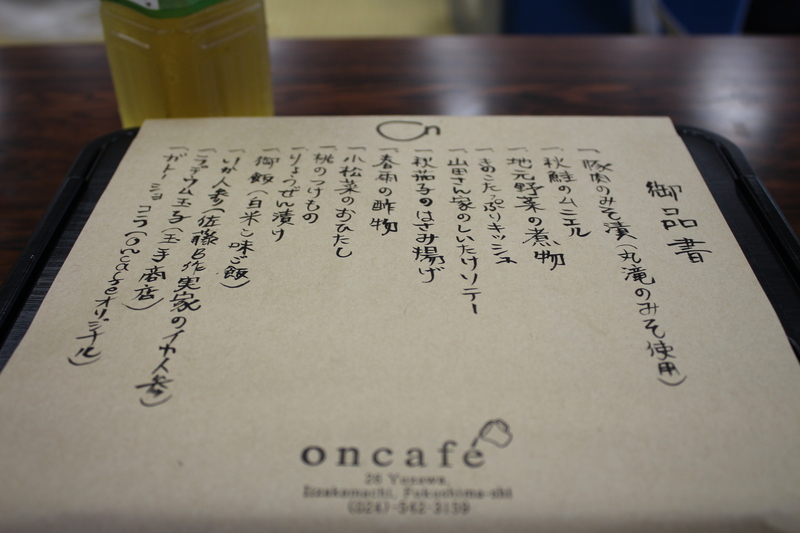 They enjoyed lunch at “on café moniwa” where uses Iidate local food seasoning. 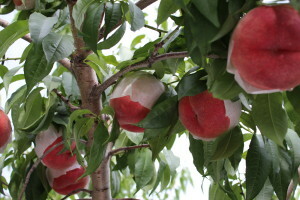 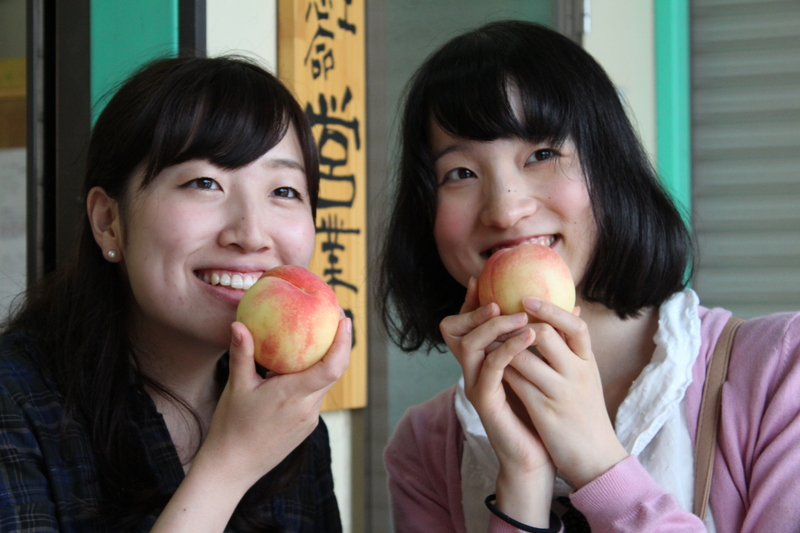 In the afternoon, they visited Hishinuma farm and listened to peach cultivation, and even tasted peaches, juice of apple and peach. Many of them purchased peaches after tasting. 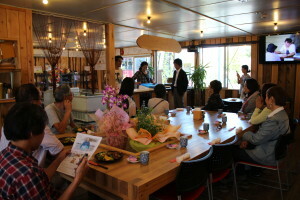 They stayed at Izumiya hotel in Anabara onsen, and enjoyed talk at the dinner. 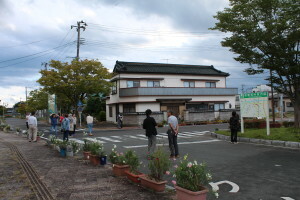 They visited town office, coast area, mountainous area, and planned transferred land for the evacuees in Soma and Futaba district by the guidance from Mr. Azuma, staff at NPO Miraito. He also told them own experience of the earthquake. 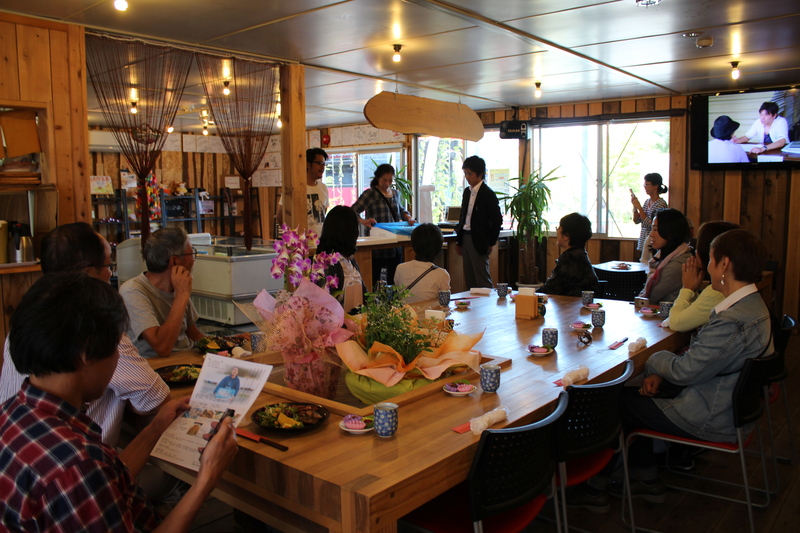 They had lunch at “Hotokuan” located in temporary shopping area in Soma-shi. 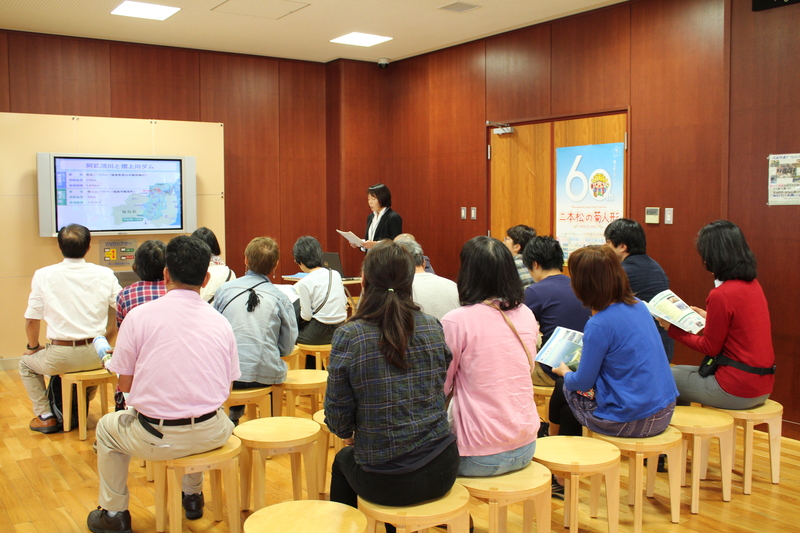 Ms. Kume, representative of NPO Ukigune no Sato guided them to urban area of Odaka district, restricted area of Namie-machi and coast area. 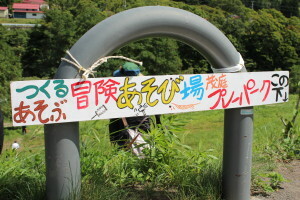 They listened to her experience on the earthquake and took the view how the town has been recovering for reconstruction. 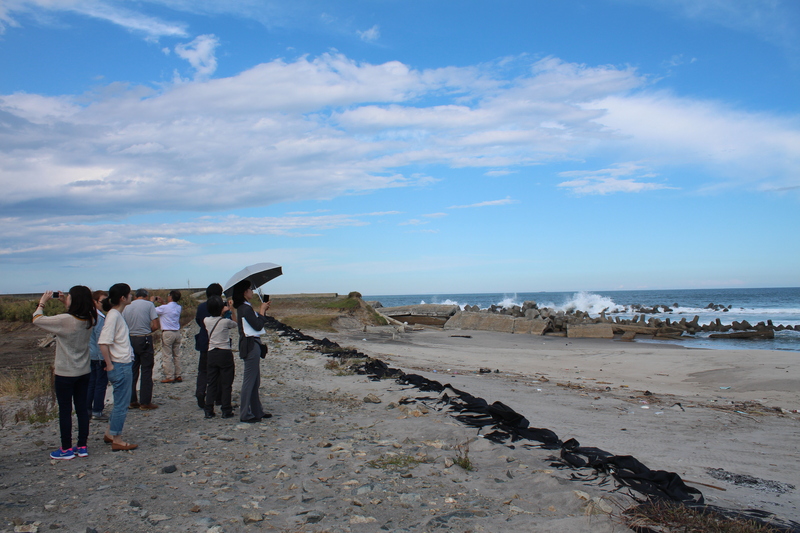 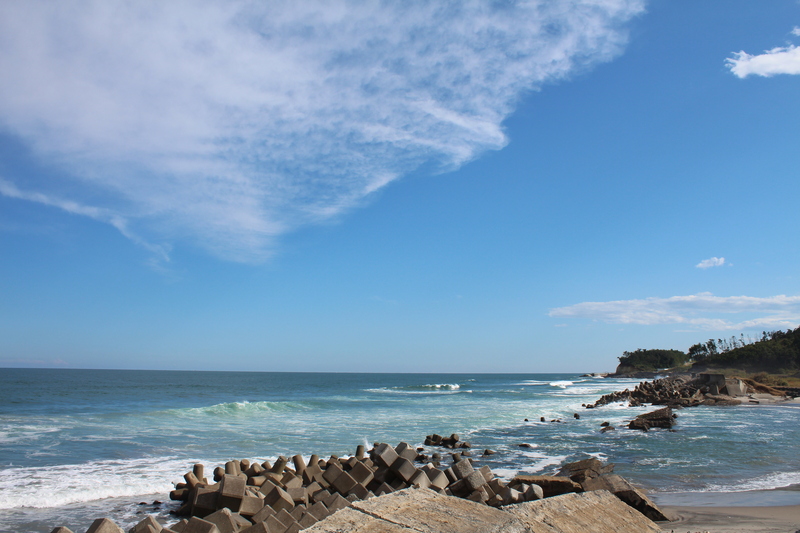 Some participants said thoughts and impression: it is hard to imagine that the tsunami occurred on such beautiful sea. 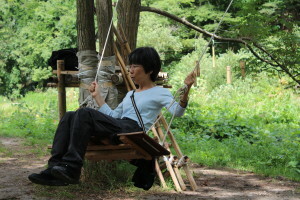 We believe that many of participants remained something on their mind. 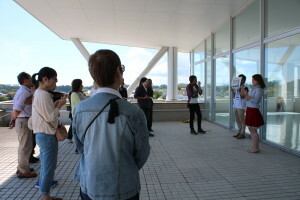 We really thank to the participants, supporters for publicity.